O’Hare International Airport (ORD) is the main Chicago airport and is one of the world’s busiest (behind ATL). It’s located northwest of the city and is served by most major US airlines, as well as many international airlines. The L train (blue line) is the most economical option to get downtown; a ticket is $5 and it takes about 40-45 minutes from the station within the airport to the downtown loop. Midway International Airport (MDW) is the secondary airport in Chicago. 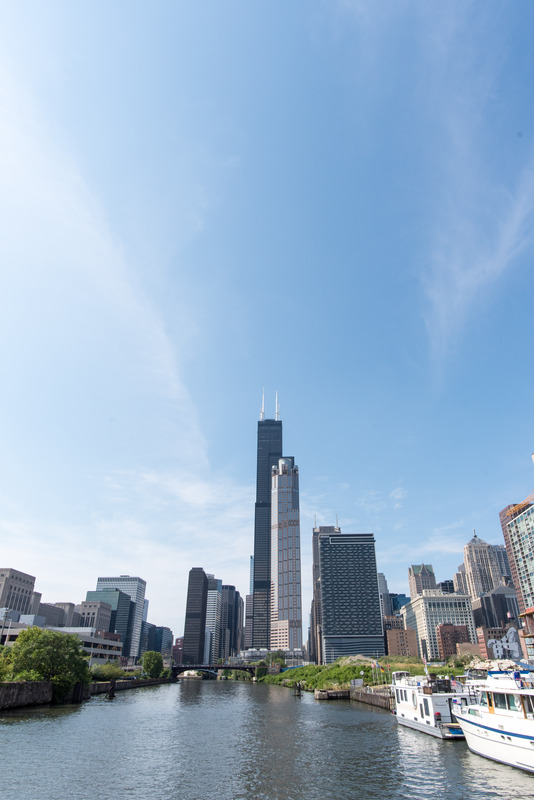 Located southwest of the city, Midway is slightly closer to downtown than O’Hare. The orange line L trains take about 30 minutes to get to the downtown loop. The airport is largely served by Southwest Airlines. 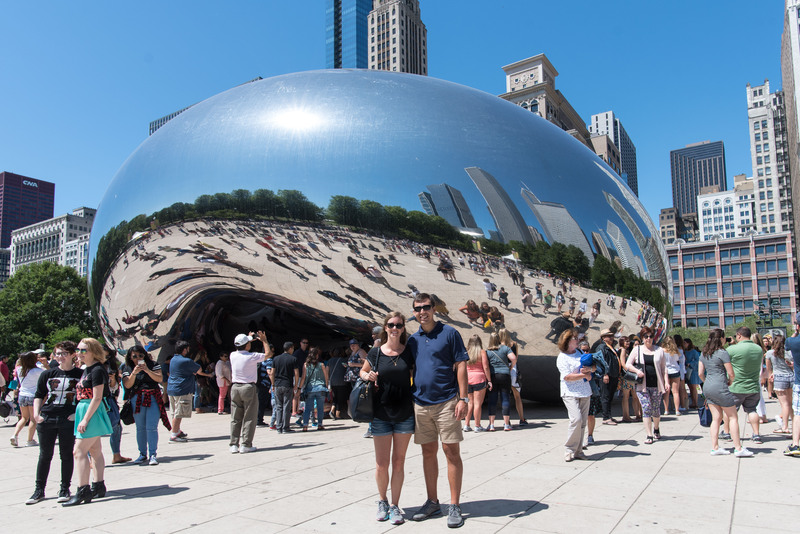 Millennium Park, home of the famous “bean” (officially known as Cloud Gate), is a great home base for a trip to Chicago. Many of the hotels lining the park have fabulous views across the park’s acres of green space. We stayed in the Fairmont Chicago, which is about a block from the river and a block from Millennium Park. The rooms were spacious, our view of the park and harbor was excellent, and the fitness and spa facilities were a welcome respite from walking the city (Fairmont President’s Club members get complimentary access to both). 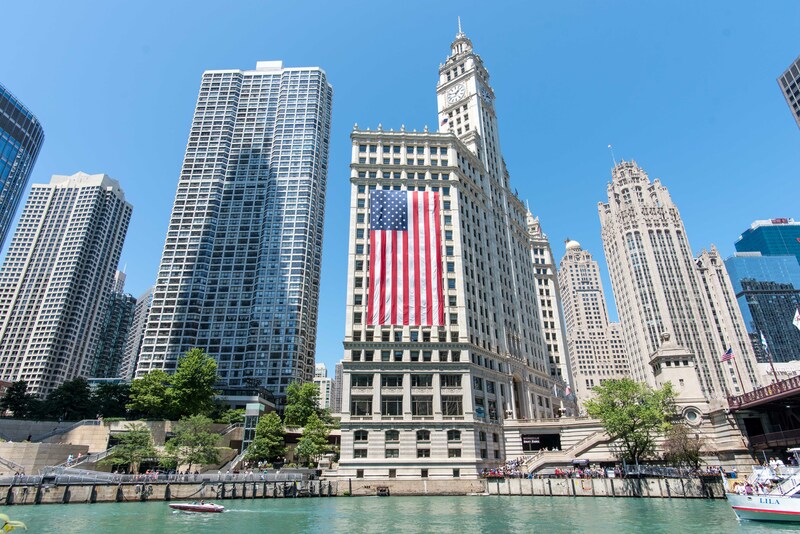 For a chic, vintage-meets-contemporary-style hotel, Chicago Athletic Hotel is great option along the west side of Millennium Park. Michigan Avenue / Magnificent Mile is the touristic center of the city with a multitude of restaurants and shopping opportunities. 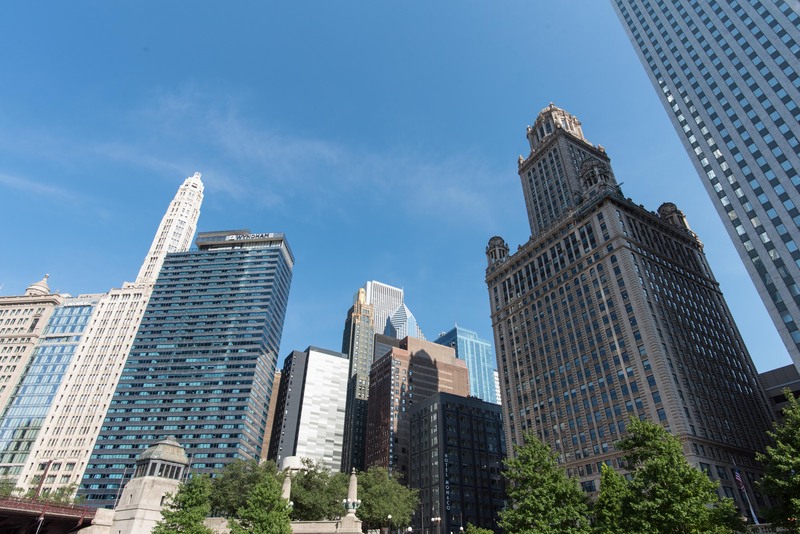 This high-end stretch of Michigan Avenue and the surrounding blocks are home to many luxury hotels like the Ritz-Carlton, Four Seasons, Park Hyatt, and Peninsula. Splurge on a high floor room for incredible lake or skyline views. 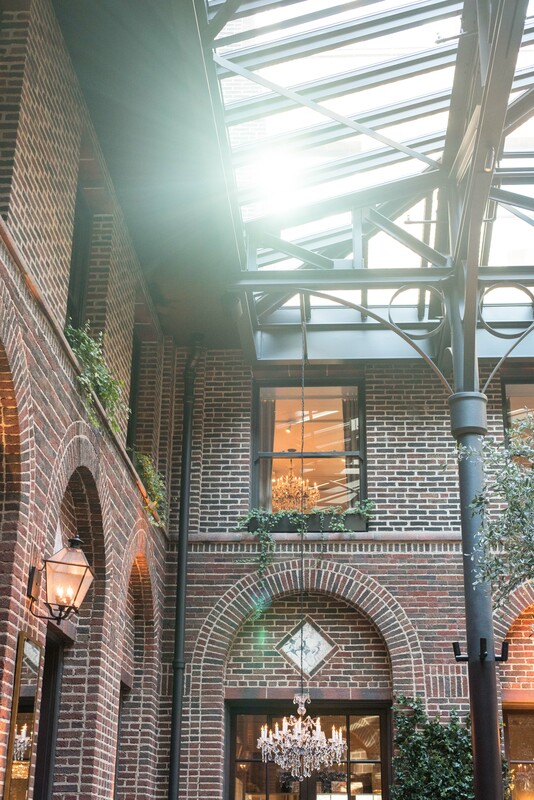 For a more boutique feel, try the newly-renovated Talbott Hotel or the historic Drake Hotel. River North is the area just west of Michigan Avenue and north of the river (hence the name). Here you’ll find more moderately-priced chain hotels and slightly thinner crowds than around Michigan Avenue. 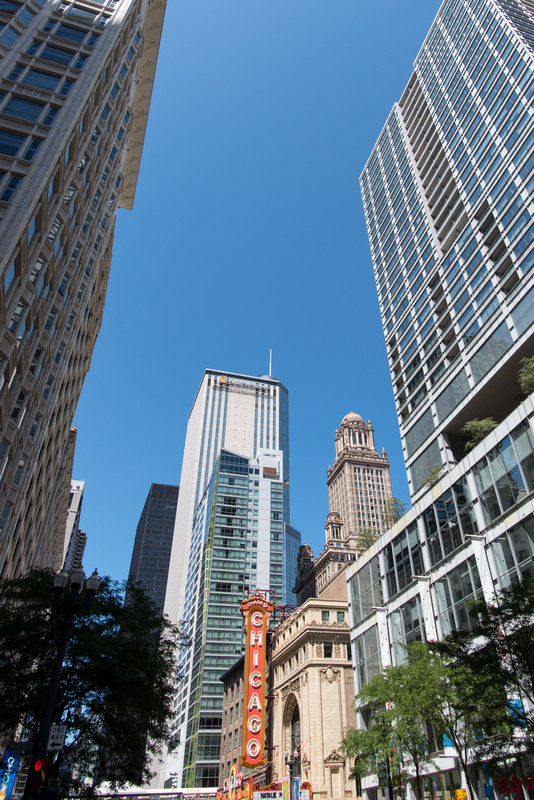 This area is easily walkable to restaurants, the Riverwalk, and the adjacent areas, like Millennium Park and the Magnificent Mile. 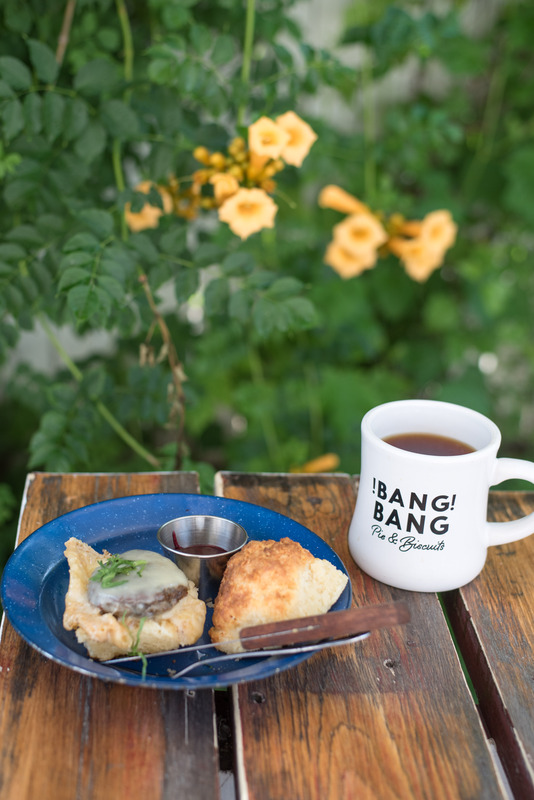 Bang Bang Pie & Biscuits (Logan Park) – What’s not to love about a place that serves biscuits, grits, and pie? They advertize Midwestern cooking, but it felt Southern in all the best ways–maybe we aren’t so different. 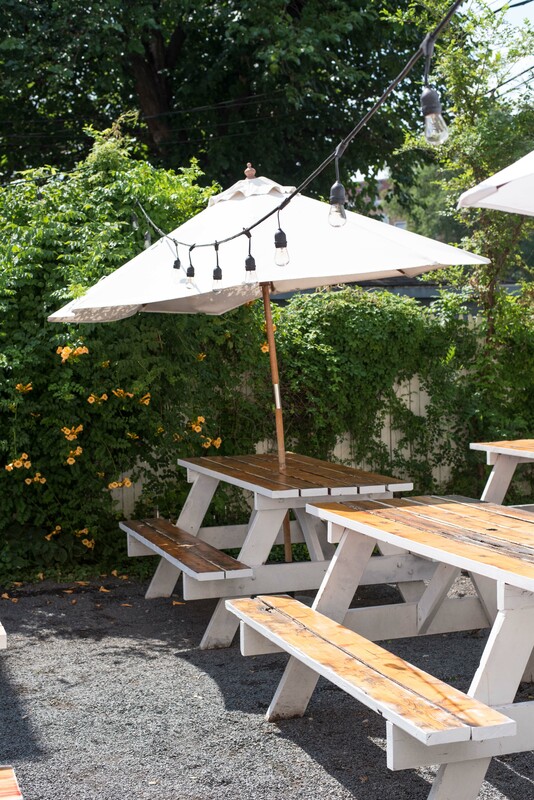 Service is friendly, the food is reasonably priced and delicious, and the back patio space is adorable. Publican Quality Meats (West Loop) – The best way to describe this space is a butcher shop plus a gourmet market and bakery. 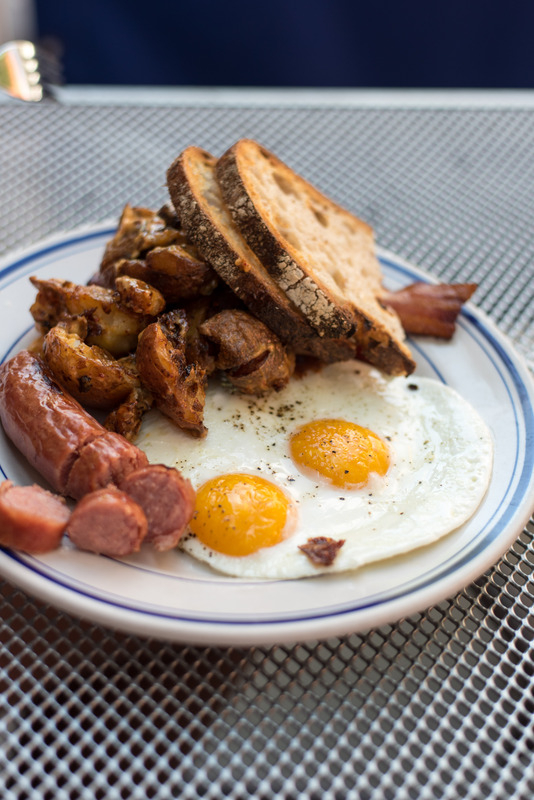 Hearty breakfast platters of house-made meats, potatoes, and eggs are available, as well as lighter options like a panna cotta-style yogurt, fruit, and granola bowl. 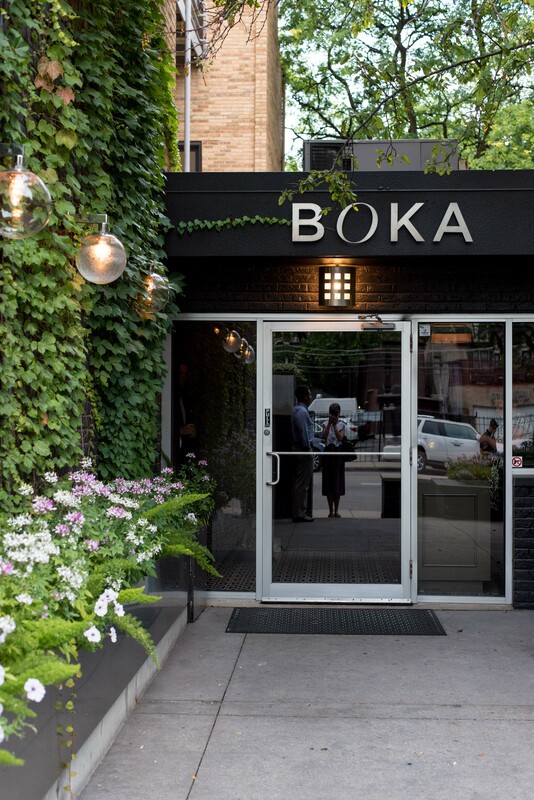 If the weather’s nice, try to score a spot on the casual sidewalk patio. 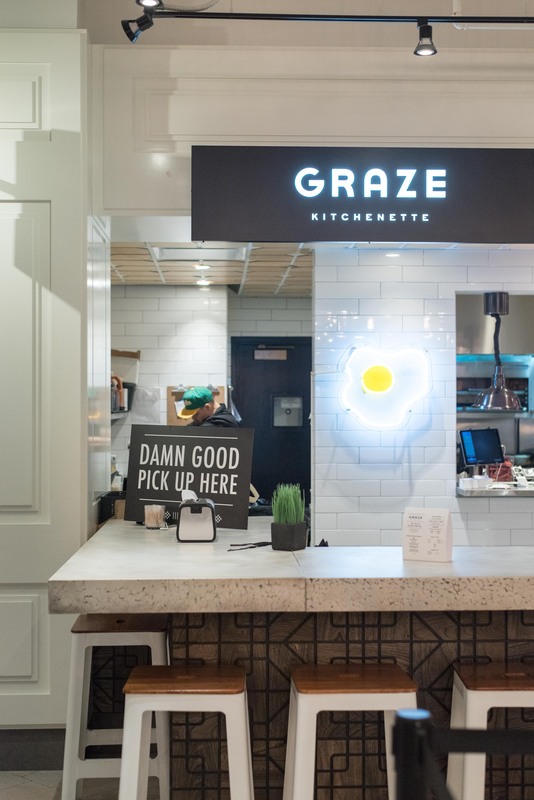 Graze Kitchenette (Millennium Park) – This burgers & bowls concept in Revival Food Hall (more on that in a sec) is perfect for a quick weekday breakfast. 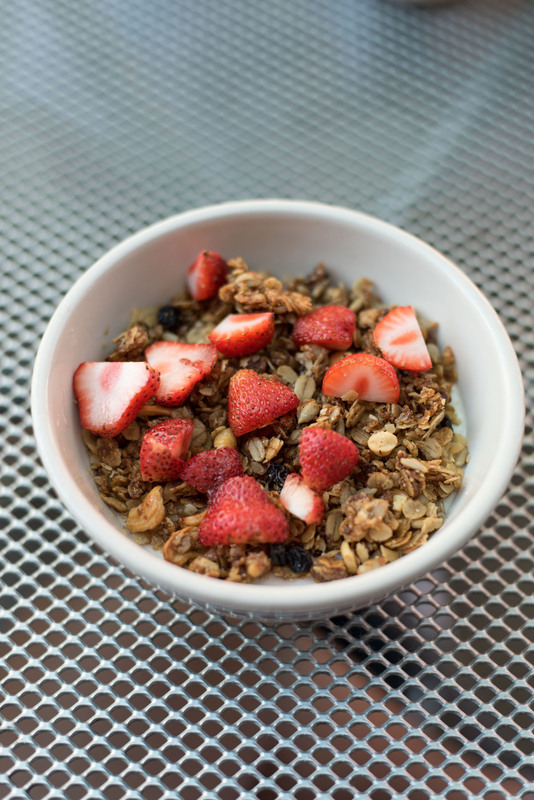 Offerings include egg sandwiches and acai bowls. 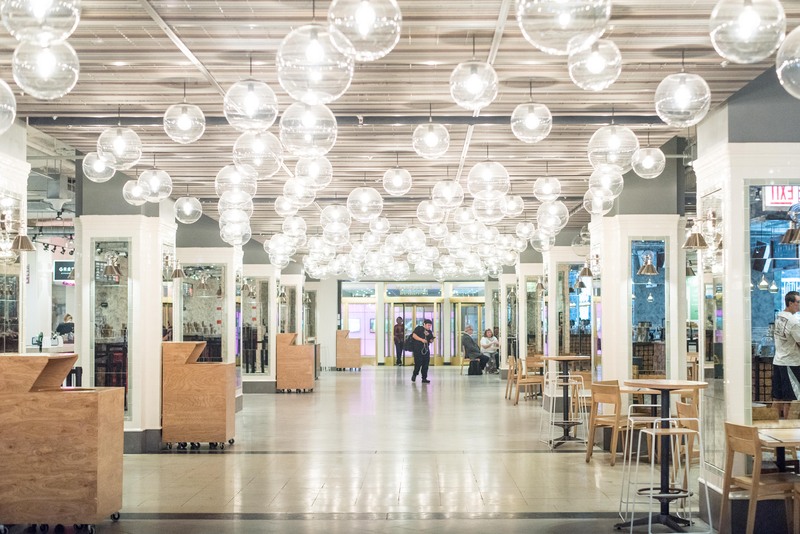 Revival Food Hall (Millennium Park) – If you step off the bustling downtown streets into this chic food hall, you’ll be greeted with a hallway of globe lights and a difficult choice of which trendy food stall to pick. 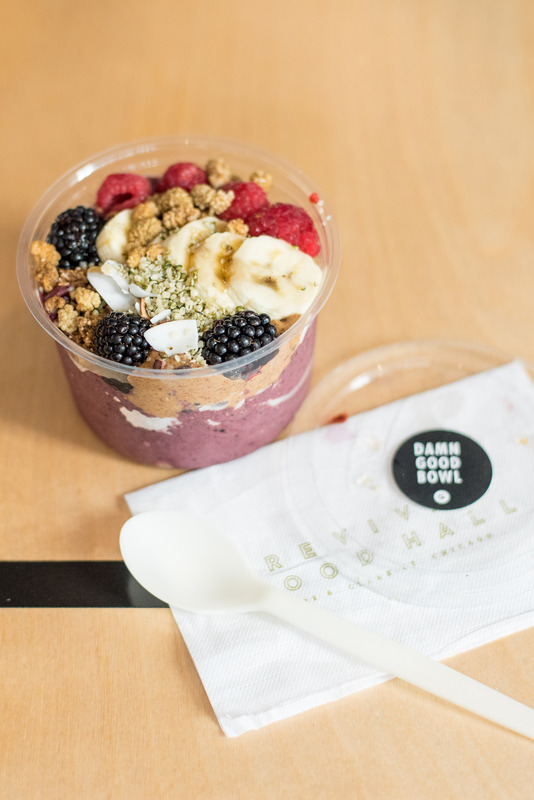 There’s everything from burgers and acai bowls (see above) to bakery items, tacos, fresh-pressed juice, and poke bowls. The space has plenty of communal seating and space to work for a few hours coffee shop-style. 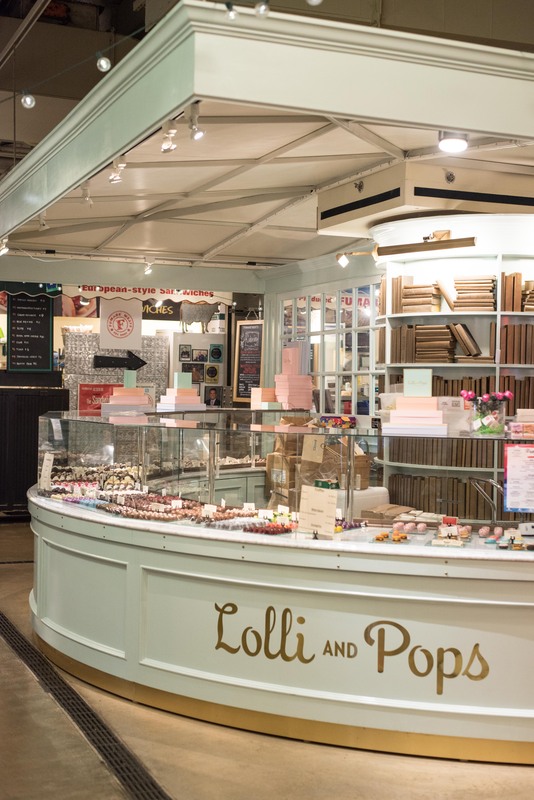 Chicago French Market (West Loop) – Find a little slice of Europe here with cheese shops, produce stalls, and beautiful treats like chocolate truffles and macarons. Grocery shop or grab prepared food to go. 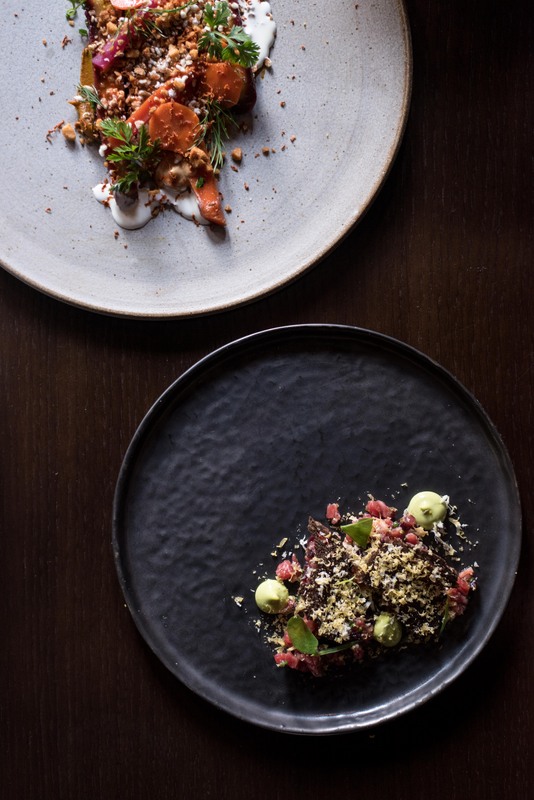 Blackbird (West Loop) – Don’t let the clean, white space fool you because the food is anything but boring. 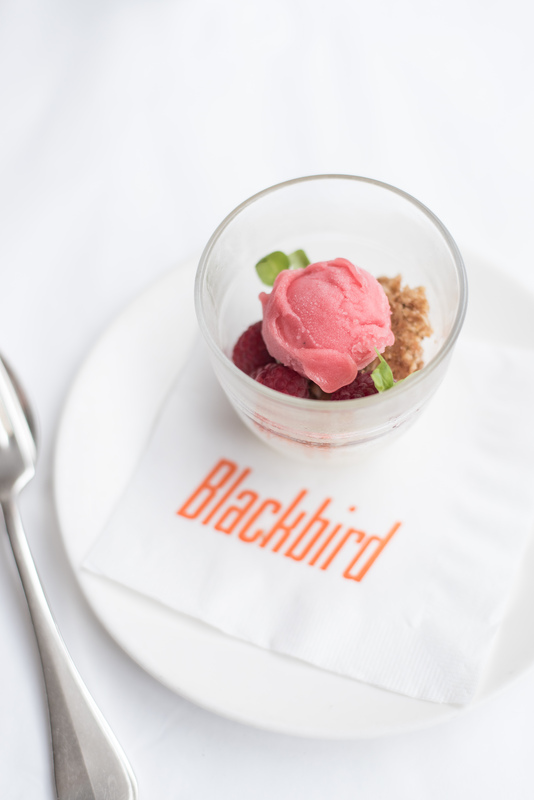 The kitchen at Blackbird puts out colorful, seasonal, Midwestern dishes that are as beautiful as they are flavorful. 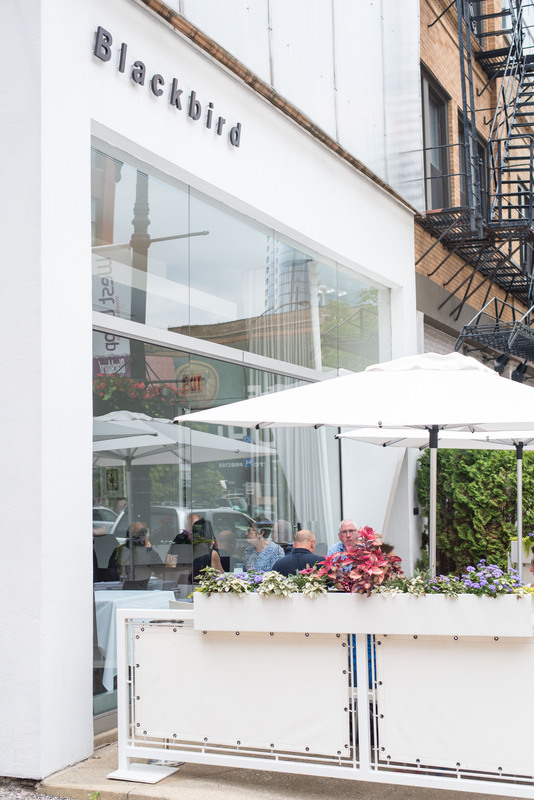 Lunch at this one star restaurant is a great value with their 3-course prix fixe menu for $25. Topolobampo (River North) – Through a sliding door in Rick Bayless’s Frontera Grill is the higher-end, one star dining room of Topolobampo. 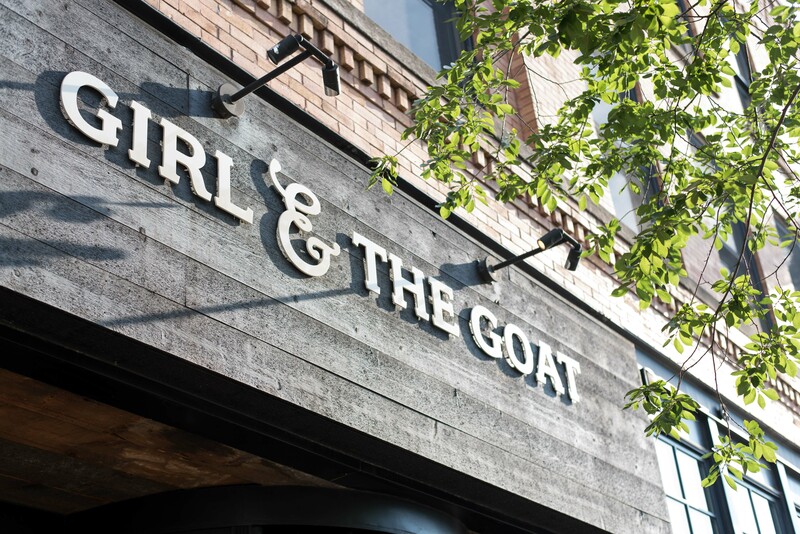 The chic, brightly decorated space is filled with friendly staff and the nearly constant sound of margaritas being shaken tableside. 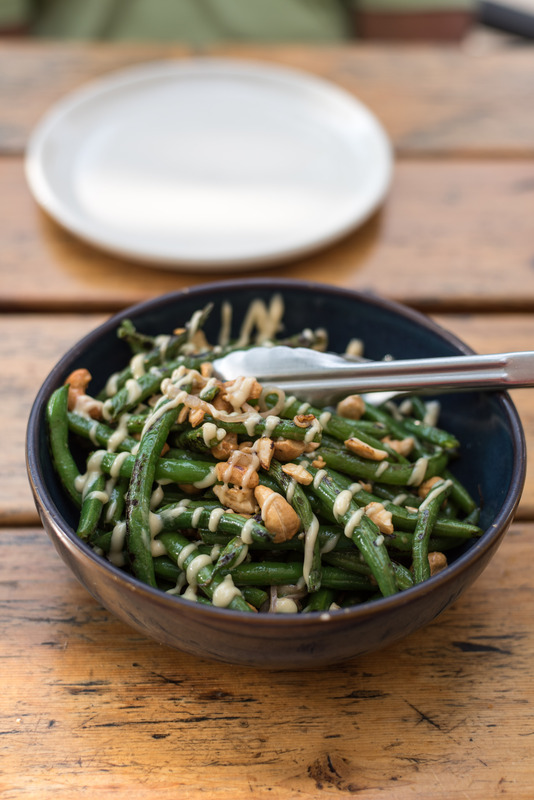 The contemporary Mexican cuisine is unlike your neighborhood Mexican joint; it’s bright, fresh, and light. Think spicy ceviche, creative tropical drinks, and mole so good you’ll want to lick your plate. 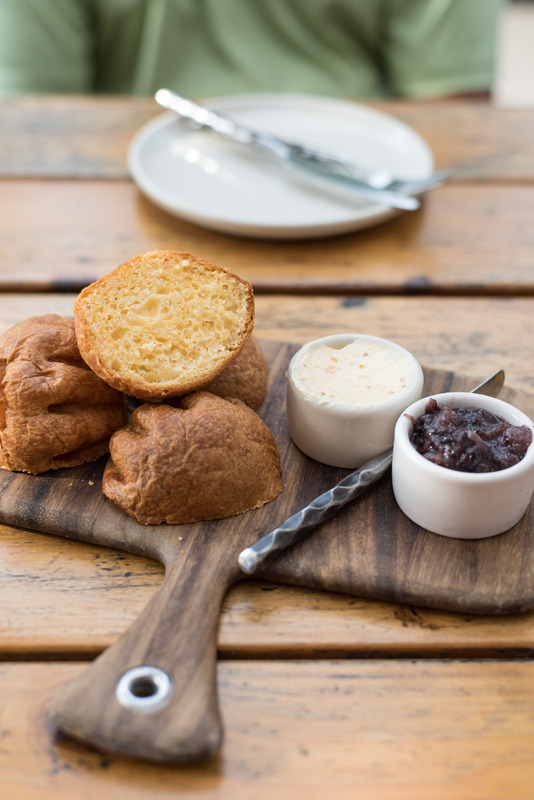 They also offer a 3-course prix fixe lunch for $25. 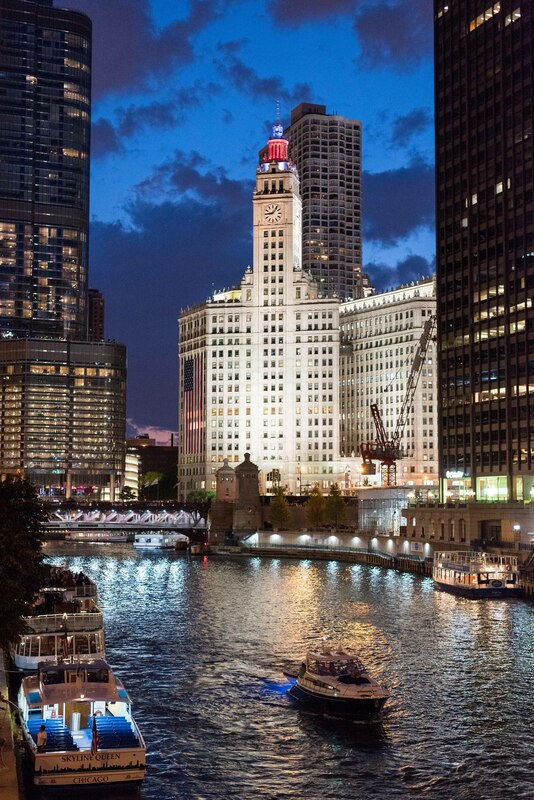 GreenRiver (Magnificent Mile-ish) – On the 18th floor of a glass medical building in downtown Chicago is GreenRiver, a one star restaurant. 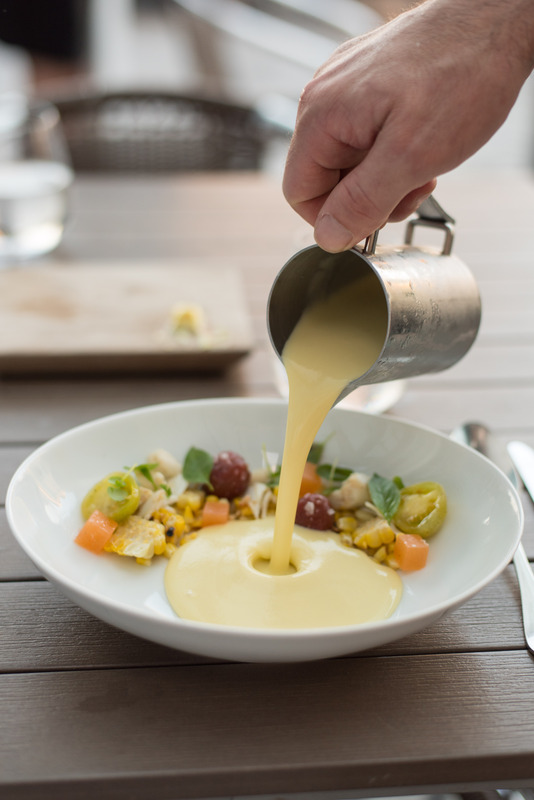 The Midwestern menu is fresh, beautifully plated, and highlights the season’s best produce. 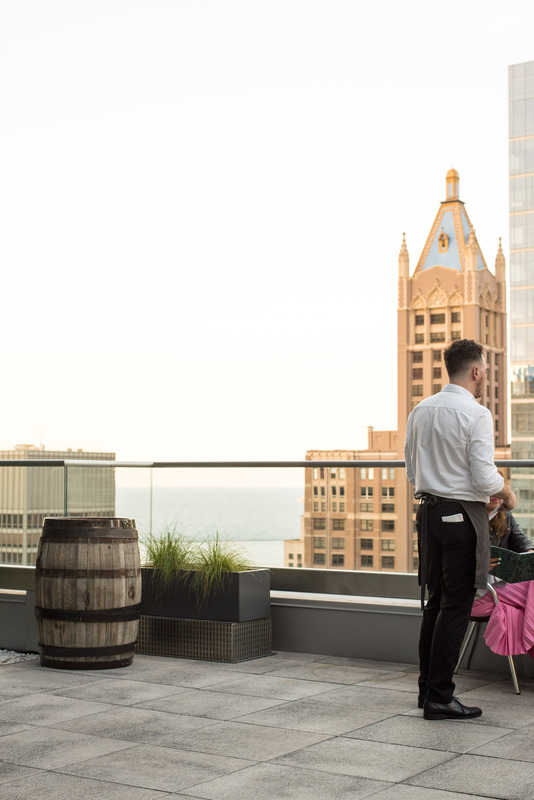 If the weather’s nice, grab a table on the expansive terrace that overlooks the skyline and Lake Michigan. 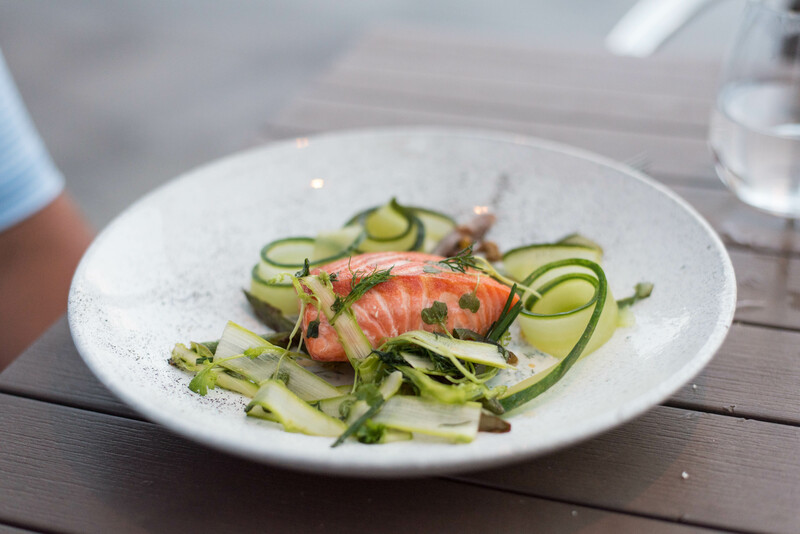 Our service was embarrassingly slow (especially for a Michelin-rated restaurant), but the food and views were worth it. Pequod’s Pizza (Lincoln Park) – Most of the day, you’ll find lines of people waiting to get into this neighborhood pub for their deep dish pizza with caramelized crust. The crispy-chewy crust is second only to the amazing tomato sauce they spread on each deep dish pie. 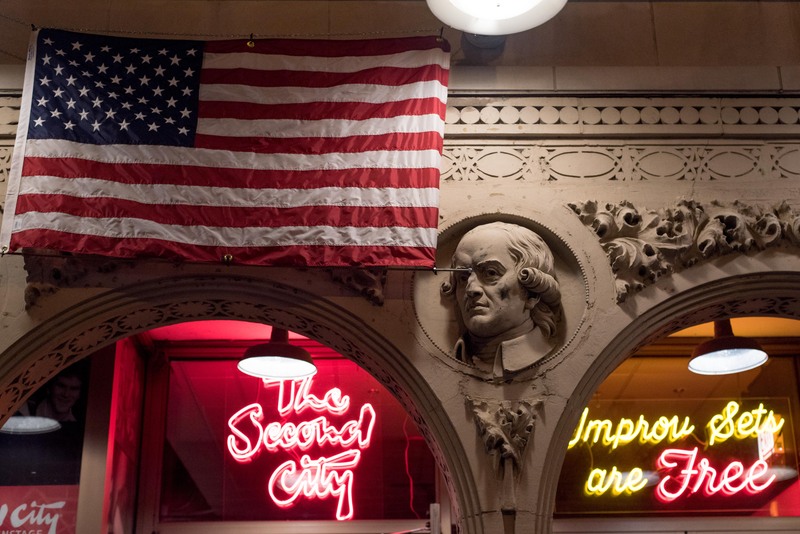 Pequod’s is definitely on the radar of many tourists, but the space feels like a gritty, real glimpse into Chicago history rather than a whitewashed tourist trap. They’re open latenight, and the lines thin out considerably after the dinner rush. Lou Malnati’s (multiple locations) – Lou Malnati’s has been around for decades, and it only takes one bite of their deep dish pizza to figure out why. The thick butter crust, delicious tomato sauce, and perfectly stretchy mozzarella cheese are the perfect complements to whichever toppings you choose. They’ve figured out a great system of ordering your pizza while you wait for your table (each pizza takes around 40 mintues to prepare). Consider getting a deep dish chocolate chip cookie if you’re not too full from pizza. 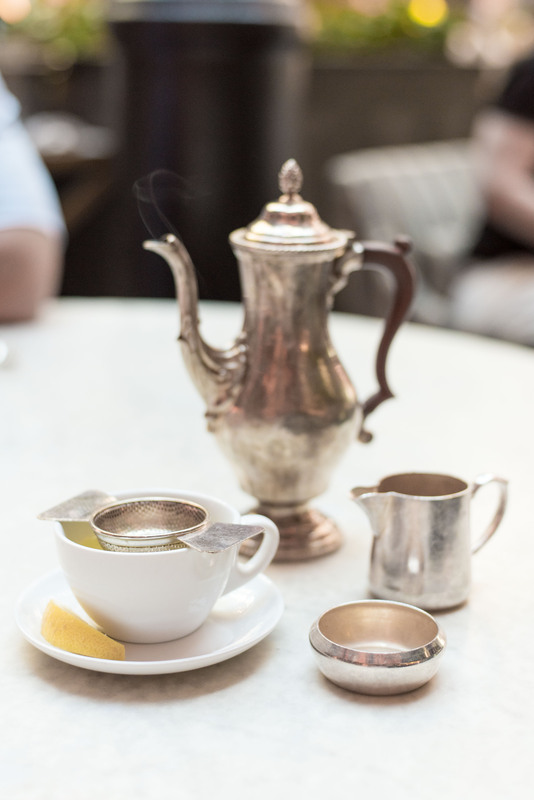 3 Arts Club Cafe (Gold Coast) – Down a dreamy street of brownstones in the Gold Coast area is a flagship Restoration Hardware store, and inside that store is a courtyard cafe that was practically made for Instagramming. 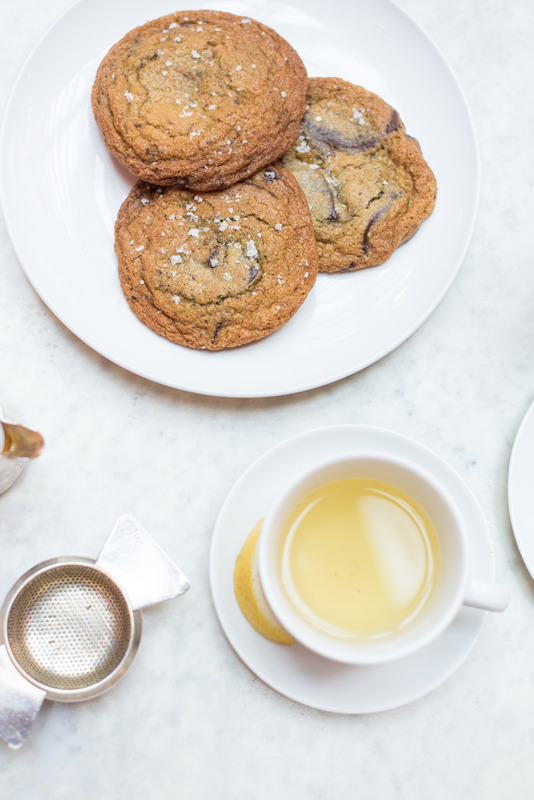 Pop in for a morning latte and croissant, linger for afternoon tea service and warm chocolate chip cookies, or sit down for a proper meal at one of the sofa-lined marble tables. Get all your heart eye emojis ready for the 2-story, light-filled space bedecked with crystal chandeliers and a central fountain. 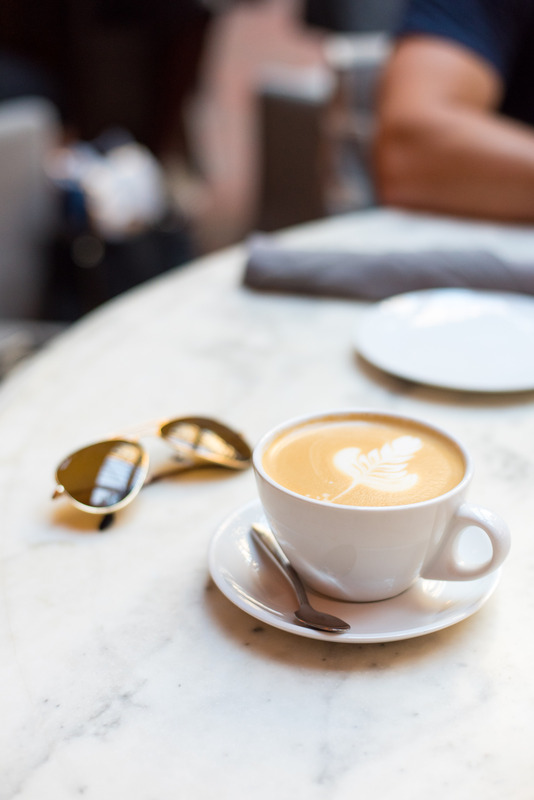 And if you love the cafe’s napkins, furniture, or other fixtures… guess what! You can buy them in the RH store. We had no less than a dozen friends recommend doing an architectural boat tour, and we were not disappointed when we took their advice! We did Wendella’s Original Architecture Tour, the oldest boat tour in the city. The 75 minute ride traced the river through the city, and our enthusiastic guide told us all sorts of interesting facts about the city’s diverse architecture. It’s not a trip to Chicago if you don’t snap a photo with the “bean” (aka Cloud Gate) in Millennium Park. Explore the rest of the adjacent parks either by foot or with the Divvy bike rentals. 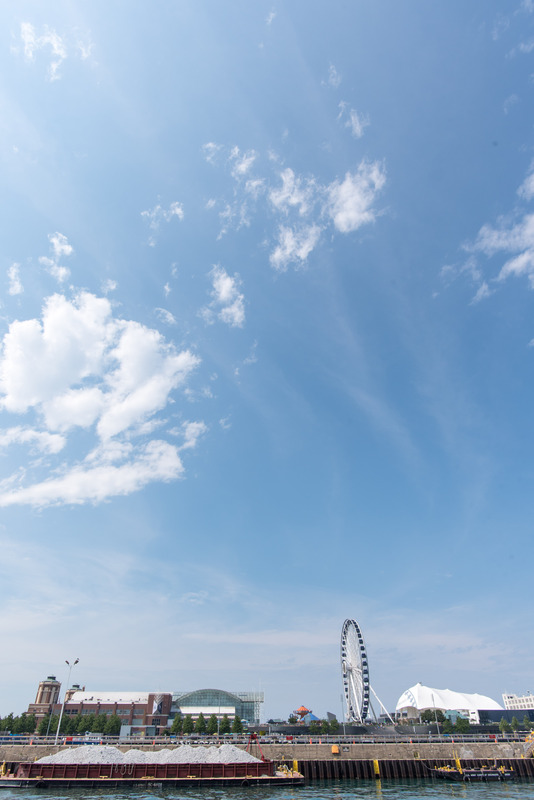 Keep an eye out for free summer concerts at the Jay Pritzker Pavillion, take your kids to the playground in Maggie Daley Park, marvel at the Buckingham Fountain, or splash in the Crown Fountain. 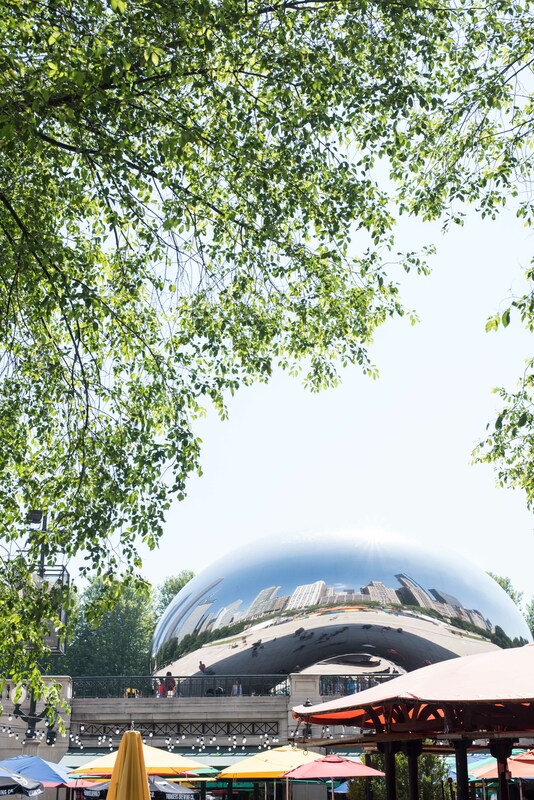 Within the parks, you’ll also find The Art Institute of Chicago, The Field Museum, the Shedd Aquarium, and the Adler Planetarium if museums are your cup of tea. 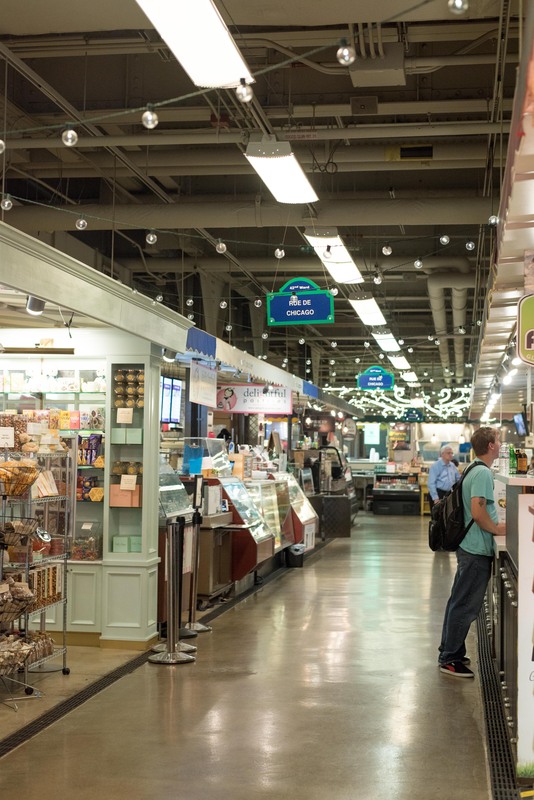 Consider the Chicago City Pass if you’re planning to visit more than one of these attractions. 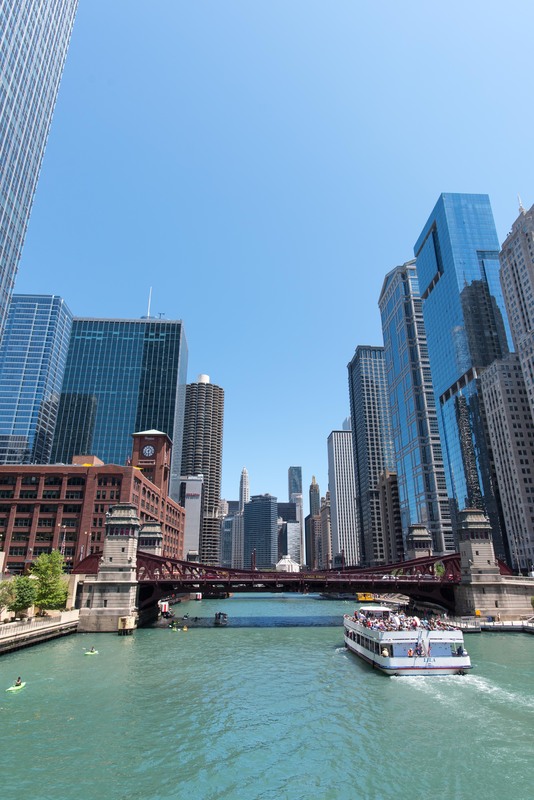 If pretty skylines, water views, and walking, running, or biking are your thing, the Lakefront Trail and the Riverwalk are great opportunities to see Chicago. In the city, it’s easy to dip down to river level for a stroll, drink, or meal on the newly renovated Riverwalk. Along the coast, you can trek all or part of the 18-mile Lakefront Trail for mostly unobstructed views of Lake Michigan. 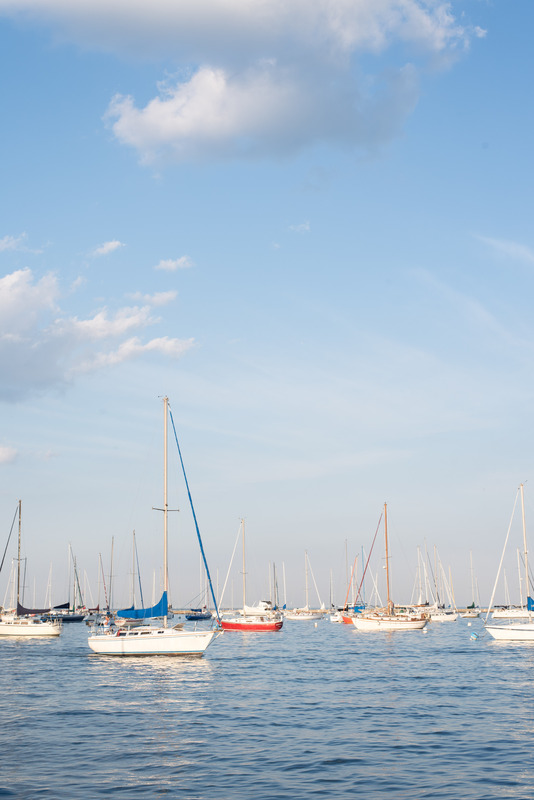 Stop at Oak Street Beach or the harbors for ideal photo ops. And of course, you can go see the Cubs, Bulls, Bears, or Blackhawks play, depending on what time of year you’re visiting. 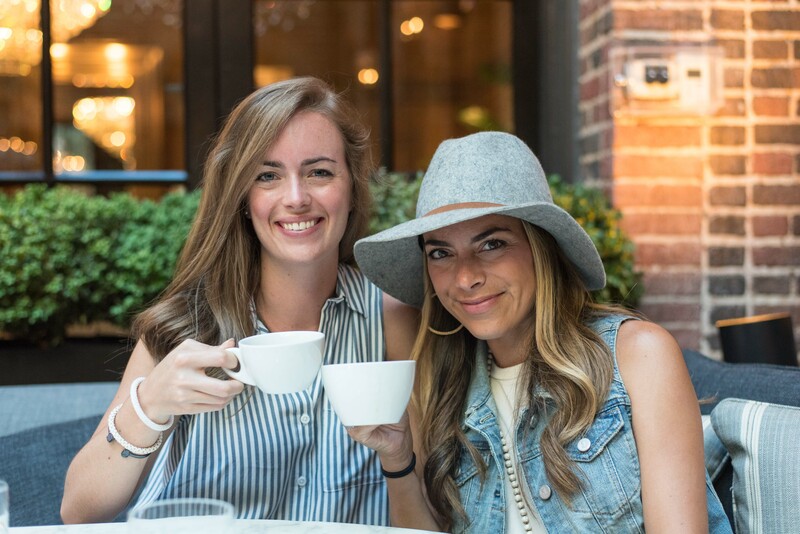 Summertime in Chicago is a beautiful thing: the days are long, the restaurant patios are open, and the paths along the river and lake are brimming with locals and tourists alike. 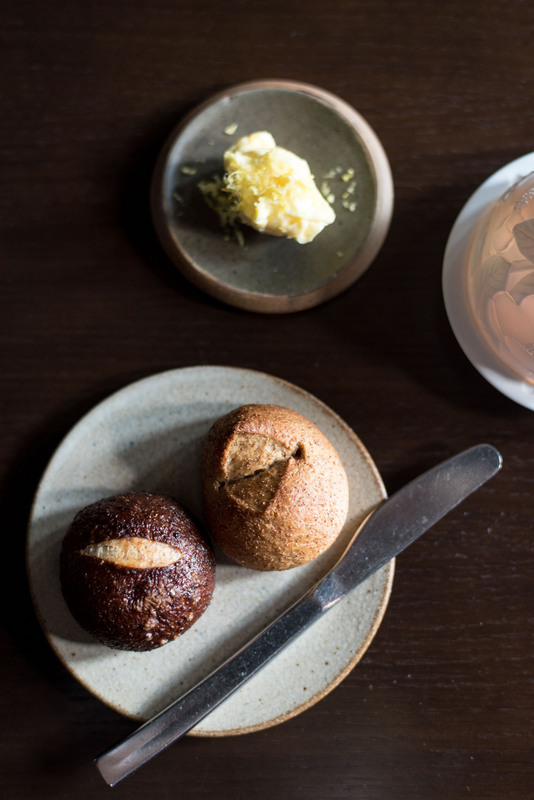 There are so many things to see and do, and the food scene is vast but more manageable than New York City. I’ve never seen another lake that I couldn’t see across; the expanse of blue-green water gets more and more beautiful at every glimpse. And the architecture of the city is just as awe-inspiring as the water. More practically, I love that Chicago is easy to get to (and plane tickets from Atlanta are almost always cheap). You get big city excitement without the steep price tag of other major cities like NYC, San Francisco, and LA. We’ll definitely be back! We traveled as a couple in July 2017. WAIT WAIT! This is amazing! I’m heading there again in October, so BRB, making reservations everywhere. Yay!! There’s soOoOo much good food in Chicago!